Buy the Right NYC Co-op Apartment for the Right Price. Elika is a complimentary buyers service. 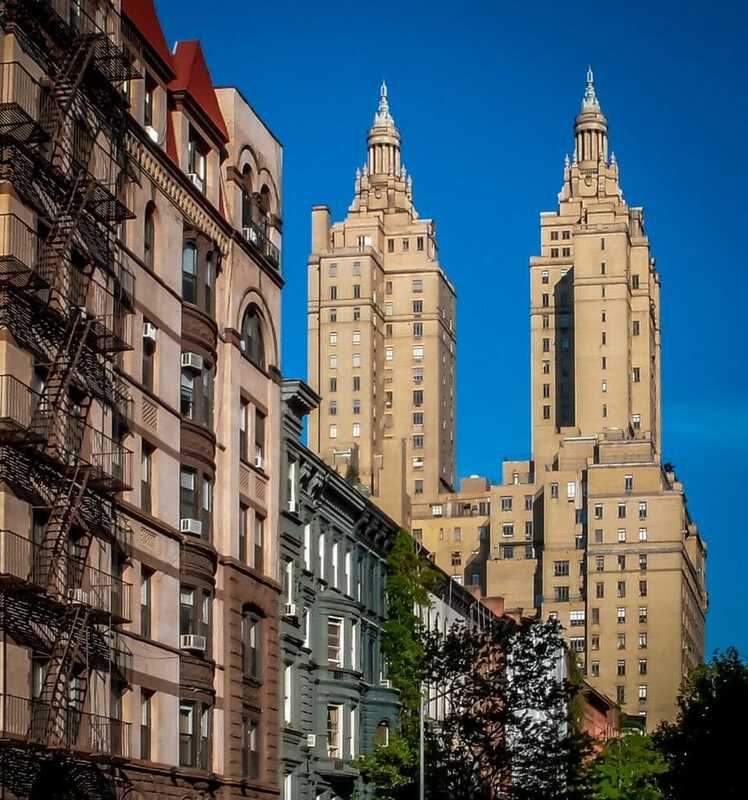 We specialize in representing buyer’s in pursuit of New York City Coops for Sale through-out Manhattan and Brooklyn, from charming village studios to the finest Park Avenue residences. We begin by assessing your specific needs, finding the ideal co-op, performing a comparable market analysis, negotiating on your behalf, consulting you through the board application and finally preparing you for your board interview. Below you will find a helpful guide to understanding the intricacies of co-ops and what you may face when pursuing your purchase. Picture a large, unruly family all living under one roof with the members potentially disagreeing on everything from how to decorate to how to improve their home, and you pretty much have an idea of what it’s like to live in a co-operative building in Manhattan. Because New York City co-ops are hybrids which combine private and group ownership, residing in this type of property can pose unique challenges. Here are some things to keep in mind when looking into New York City co-ops. Co-ops differ from condominiums in that instead of owning the deed to your individual property, you own shares in a corporate entity which in turn owns the property. With a lease, co-op owners gain the right to occupy their units, but they do not enjoy some other privileges of ownership that buying other types of the property affords. One major drawback is that co-op owners cannot turn around and sell their units to whomever they please at whatever price they can get. There are also restrictions on subletting or altering the unit, as well as such minute things as what percentage of a unit has to be carpeted. When it comes to New York City co-ops, the board of directors controls how and to whom its shares are sold. The board of directors has sweeping authority to accept or reject anyone who wants to buy in a co-op in the building and can turn you down for any reason other than sexual, religious or racial discrimination. Further, co-op boards are not required to give you a reason why they turned you down, making a rejection all the more baffling. As far as running the building, co-op boards also have broad powers. As long as they are found to be operating in the building’s best interest, their decisions are impossible to overturn, even in court. Ready to Buy a Co-op? Let Elika’s experts search, filter and send you the best available Coop apartments for sale that match your specific housing needs: Complete the CUSTOM SEARCH form or Call: 212-590-0545 | Services Free for Buyers, Learn More. New York City co-ops are unique hybrids that combine features of both public and private ownership. Living in a co-op presents many distinct challenges. When you’re looking into New York City co-ops, it’s important to consider how life here will differ from what you’re used to. As we’ve already mentioned, co-op owners are not permitted to sell their units without board approval and paying a flip tax, so you cannot flip a co-op property the way you could a house or condo. There are restrictions on subletting or renovating the unit as well. Co-op residents may face very strict rules governing the appearance of the building, such as limits on the percentage of the unit that is carpeted. New York City co-ops are controlled by a board of directors. The board determines how shares are sold and who can buy them. Co-op boards enjoy sweeping authority to accept or reject applicants and can turn down individuals for anything other than sexual, religious, or racial discrimination. Rejections are often baffling, as the board isn’t required to provide a reason if they turn you down. Co-op boards also have broad control of the running of the building. Their decisions are nearly impossible to overturn, so long as they can argue that they’re operating in the building’s best interest. To be approved by a co-op board, you are going to have supply excruciatingly detailed personal and financial information. The board package, as it is referred to, includes two years worth of tax returns with W-2 forms, 1099s, and K-1 forms, delineating all partnership income. The package should be prepared by an accountant or financial expert and should also consist of a detailed financial statement, including a listing of your assets. If you have any investments, the co-op board will also ask for copies of statements documenting each. For instance, if you own a rental property, you will be required to furnish a market analysis of the property and copies of leases. A comprehensive board package should also include a commitment from a lender for any proposed financing. Boards will usually also ask for three to four letters of personal reference. While sales of New York City co-ops have slowed over the last few years due to a soft economy, many co-op boards have become even more stringent in their financial requirements for prospective owners. Experts say that this is because boards feel they would rather protect their residents than make real estate sales. The final hurdle to obtaining a co-op is the interview with the co-op boards selection committee. During this interview, you should be prepared to answer any and all questions about your personal and financial life. If you are a family, you may even be required to bring your children to the interview to see if everyone is up to snuff. The advantage of owning a co-op is that you get to choose your neighbors. Most boards focus on whether the prospective buyer will be a considerate neighbor and be able to pay their maintenance on time. The disadvantages are that the co-op board will control your life, including everything from what color you paint your door to what you keep on your balcony. Most people either love or hate co-op arrangements, and you should decide in advance into which camp you fall. Experts say that maintenance fee increases and how monies are to be spent are the main cause of friction between co-op neighbors, followed by decoration issues like design plans for a new lobby. The divisions occur between those owners who want to keep costs down and those who do not want to sacrifice quality or services. The laws that cover co-op issues are always evolving. Most recently, the courts have ruled that a co-op board’s decision cannot be questioned in court, that co-ops do not have to provide a reason why a prospective owner was turned down and that in certain circumstances a co-op can evict a disruptive neighbor. The courts have also ruled that a co-op board can enforce flip taxes on the sale of a unit if that is permitted by the co-op’s bylaws. Though the application process is rigorous, there are many advantages to owning a co-op. Co-op boards are very strict about choosing buyers who will be considerate neighbors and take care of their maintenance issues promptly. This creates a high-quality living environment for everyone in the building. Unfortunately, the same rules that keep your neighbors in line can feel very controlling if you want to make certain cosmetic changes to your living space. If you bristle at the idea of having restrictions on your paint colors or balcony decorations, co-op living may not be for you. Disagreements between co-op neighbors typically center on the spending of monies and what decorations are allowed. Experts say there’s usually a division between owners who want to keep costs down and those who are willing to pay more to ensure quality. When performing your due diligence before making a coop purchase or when the annual board meeting of your co-op is approaching, you get a rather thick document. This is your co-op financial statement. While you may be tempted to dump it in the trash, it is a pretty important document. It lets you know where your investment is, and that should be a priority for you, especially with how much money New Yorker’s invest in their apartments. If you are looking for a new home, you can use this information to analyze whether or not the co-op would be a sound investment. There are several things that you need to look for. First, look at the page that shows results for the past two years. There should be two columns, one for this year and one for the previous year. Compare the two columns carefully. If there are any significant changes that you can’t explain, this could be a concern. Next, take a look at the profit and loss statement. Obviously, you want to see the co-op make a profit. This means that they have a balanced budget, and income is meeting expenses. If you see a loss, be concerned unless you know of some justification for it. If you see a loss year after year, you need to consider getting some different board members that will balance the budget. Find in the statements the pages that should show assessments. Assessments are used to pay for capital improvements or expenses for which the co-op is unprepared, such as replacing a boiler unit. Try to see what the assessments are being used for if it is something responsible and necessary. You should also know how long the assessment continues, and if it is to be repaid in a lump sum or smaller payments. The next thing you want to look at is the mortgage statements. The size of the mortgage is not necessarily a concern because the goal is not to pay off the mortgage like with other types of real estate. If that were to happen, current shareholders would be paying for the benefit of future shareholders. But the interest rate and date of maturity are important to note. When looking at the interest rate, take the current economy into consideration. If we are in a low-interest economy, you should worry if the mortgage has a high-interest rate that cannot be refinanced. You should also know about the maturity date because this can affect your payments. If the mortgage is about to mature, it could mean legal fees and other expenses related to refinancing. However, refinancing at a lower interest rate could also mean a lowering of your payments. Another thing that is important to note is the reserve fund. The reserve fund is used to pay for capital expenses like a new roof or other improvements that need to be made to the co-op. If the reserve fund is too low, it could mean more assessments down the road. On the other hand, some co-ops use a line of credit to pay for those expenses, so you should take that into consideration. Finally, you want to look at the footnotes. The footnotes hold some crucial information, and should not be skipped over because it is the fine print. Footnotes may tell you some valuable information, such as if the co-op is paying legal fees for some reason. It may also tell you if there is a tax abatement that is going to expire soon, making your payments higher. You’ll also learn here whether the real estate and land are owned or leased for the co-op building, and you’ll find more details about the mortgage and assessments. There should, at last, be a page that describes the person who prepared the financial statements, and whether or not the statements have been audited. It should also state whether or not the real estate documents were reviewed according to current practices and standards. Smaller co-ops may not have audited statements because they cost more to prepare. Regardless, your treasurer or the accountant who prepared the documents should be available at the annual meeting to answer any questions you may have about the real estate statements. Before you start searching for the perfect home, you need to calculate how much of your weekly or monthly salary you can spend on a mortgage payment. Once you have a figure in mind, you need to estimate how much it will cost to maintain an apartment, including monthly common charges, repairs, taxes, and utilities. Then, you have to factor in closing costs and your down payment, which can run from 10 percent to as much as 20 percent. Co-ops often ask for more money down than condos. After you have decided how much you can afford your monthly expenses and a down payment, you need to make a list of your priorities, preferences, and needs. How large should your apartment be? This list will help you determine how much your new apartment will cost. If you are using an Elika agent, your representative can take this list into account while matching you up with as many of the better apartments as possible that fit your budget and priorities. The next step in the real estate purchasing process is to contact a mortgage broker or banker to help you get pre-qualified for a loan. To prove that you are a serious buyer, get a pre-qualification letter to show your financial standing, which will prepare you to start searching in earnest. At that point, you will be ready to submit an offer once you find the perfect apartment. 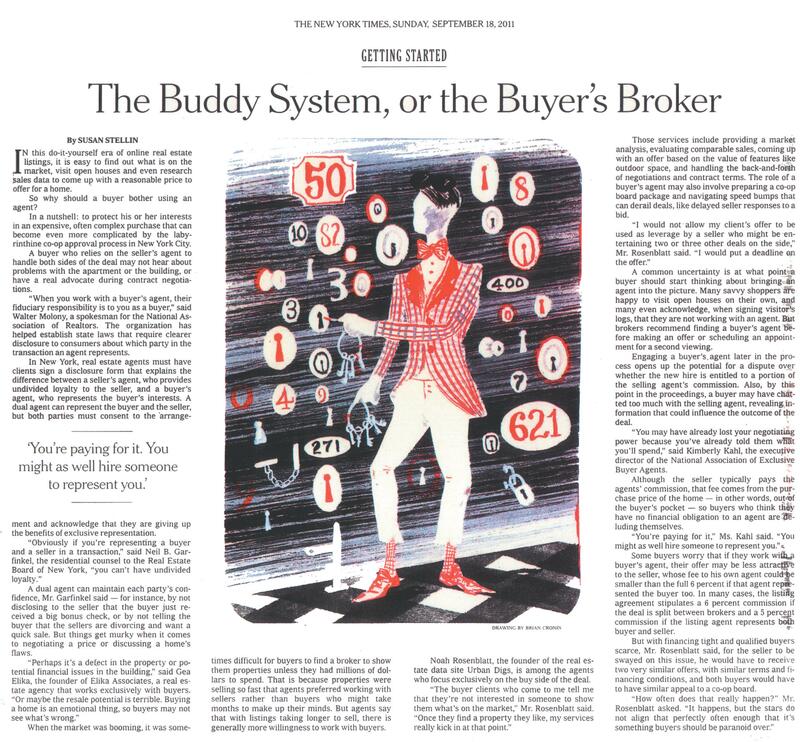 Sellers take offers from pre-qualified buyers more seriously than offers from prospective buyers who have not been pre-qualified. Acquiring a pre-qualification letter is a simple service that banks or mortgage brokers provide for free. The length of your apartment search can take days, weeks or even months. It depends on how selective you are and how stringent your preferences may be. Most buyers will see 15 to 20 apartments before making an offer. An Elika buyers broker would be happy to represent you in your search if you do not have time. The agent can visit the apartments or set appointments for you to visit them. 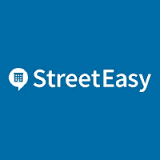 This can save you hours of searching through newspapers or online advertisements to find the perfect place. If an Elika agent is searching for you, ask for a short list of the most promising apartments. You or your representative should visit as many properties as possible. Do not be fooled by advertisements. You absolutely must see the apartments firsthand before making an offer. In New York City, an offer can be made verbally or in writing. When you find your ideal apartment, it is time to place your offer through your Elika agent. Your agent will submit your bid to the seller’s agent or directly to the seller. The seller might think your offer is too low. In that case, you might receive a counteroffer. This negotiation can lead to a mutually agreeable price, terms, and a closing date. Negotiations are affected by market conditions. If the market is crowded with available apartments, negotiating is easier. If there are not as many apartments for sale, negotiations might not work. An Elika agent can help you with negotiations by generating a comparable market analysis report so that you understand the properties value and the likelihood of negotiations. Apartments are usually sold as-is. That means how you see it is how it will be sold to you. If you want perhaps the furniture in the apartment or different fixtures, you need to negotiate for them before the sale. Once you finalize the price, your agent will put together a deal sheet that lists the price and the agreed-upon terms of the sale. Remember that nothing is guaranteed and additional offers may still be entertained until a contract has been countersigned by the seller even if you have a negotiated price. Buyers and sellers are represented by attorneys in New York City. The seller’s attorney will put together a sales contract. Your attorney is needed to review the buildings financials, bylaws and legal structure to assure that you can accept the terms. An Elika broker can help you find a real estate attorney who has experience in Manhattan. When you and your attorney examine and approve the sales contract, you must sign it and return it with a deposit check that is usually around 10 percent of the purchase price. However, this is only a guideline. The seller may have different terms. The seller’s attorney will deposit the check into escrow until the sale is closed. When the seller signs the contract, the deal is considered fully executable and binding. This can take up to three weeks depending on the terms and how quickly the seller’s attorney performs the due diligence required to seal the deal. Any necessary bank documents showing your loan is in place. Time estimate: 2 to 3 Weeks – Board application submission and approval in the case of a Condo or Co-op board interview request. Time estimate: 30 minutes to 1 hour for a Co-op board interview. Your loan commitment letter and any other bank documents. Incomplete applications can be denied, so be sure to include everything. If you are buying into a coop, the next step is an interview with the board of directors. Treat this like a business meeting. You receive a decision within 48 to 72 hours. Your Elika broker can help you prepare for the interview. Time estimate: 30 to 60 minutes on the day before or the day of closing. It is essential to inspect the property before closing. Verify that the appliances, faucets, light fixtures, plumbing, and outlets are all working. Make sure the seller has left or is preparing to move. Your Elika agent can help you complete the walk-through. Time estimate: 1 to 2 weeks after board approval. The buyer, seller, and their attorneys must gather to sign the remaining documents for the closing. The title is transferred, and the buyer is given the deed when the seller receives the certified check for the balance. The entire real estate purchasing process can take anywhere from two months to one year. Receive a free, short list of Co-op properties that best match your needs curated by an Elika expert. We'd love to help you find your New York City home.